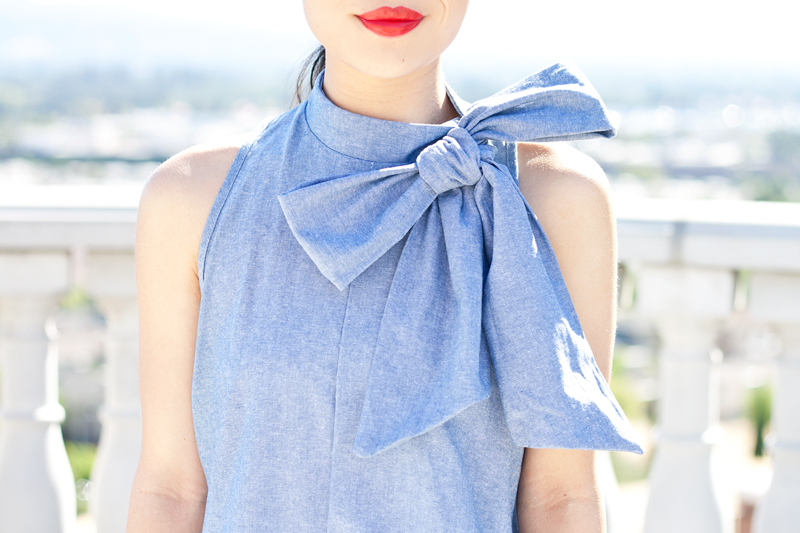 I truly believe that everything looks better with a bow! The bigger, the better! Take this romper I am wearing as an example... would I be as excited about it if there isn't a bow? Probably not. 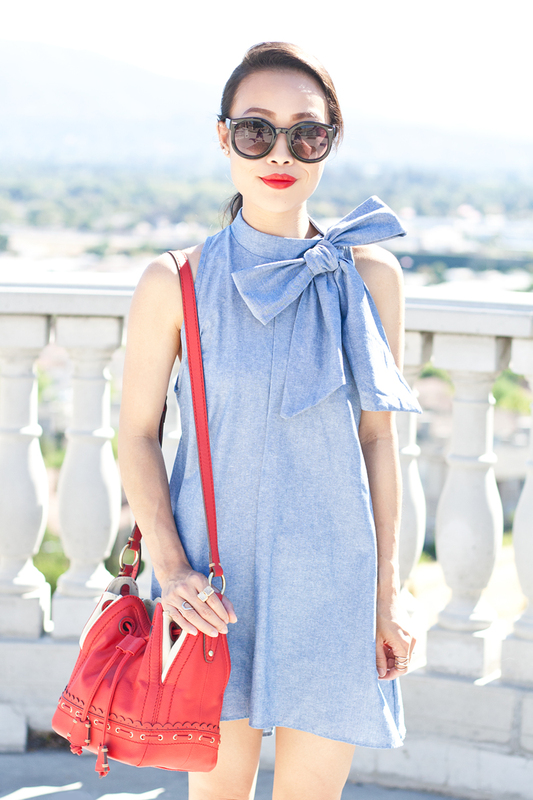 I love the chambray and the trapeze silhouette (which is unusual for a romper) but that giant bow just makes it one hundred times better. It looks so chic, don't you agree? Unlike most bloggers who posted their patriotic look(s) before July Fourth, I didn't wear any red white and blue until the actual holiday. 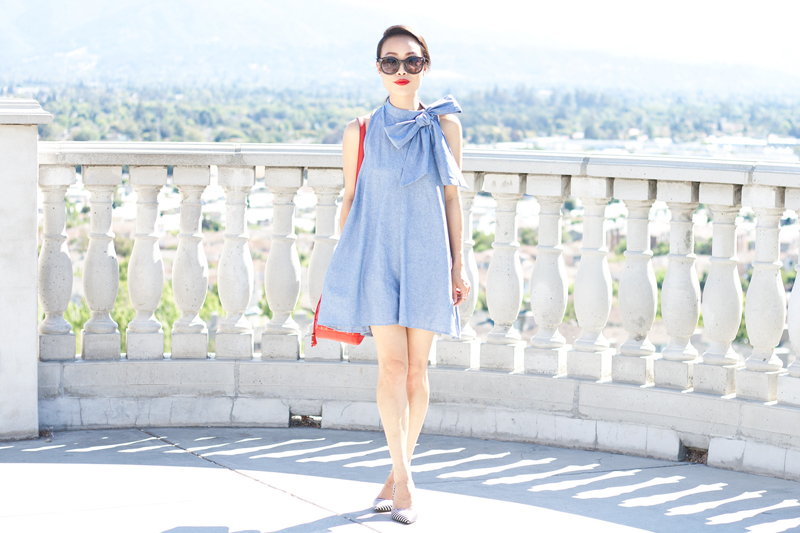 This was my real outfit taken on the actual July Fourth... blue chambray romper, red bucket bag with cute scallop details, and striped heels! Also, I am digging how my hair looks when it's pulled back into a sleek ponytail. Might start doing that more, what do you think? 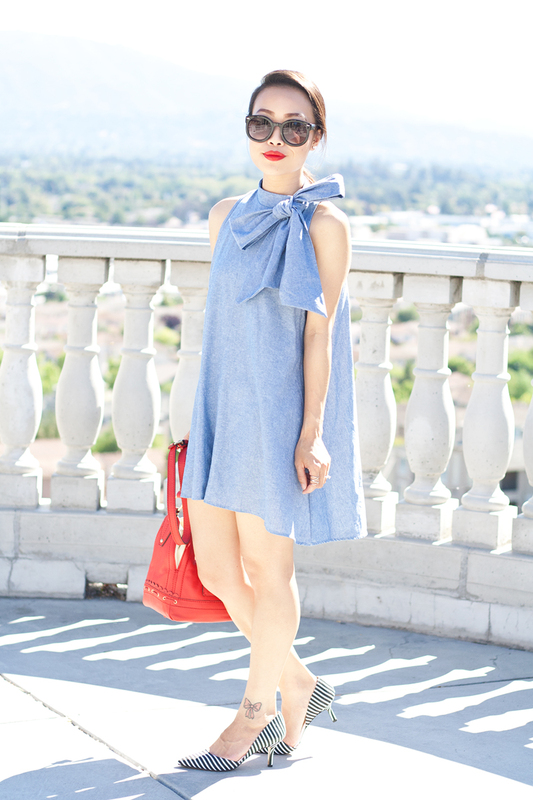 Bow chambray romper c/o AKIRA. 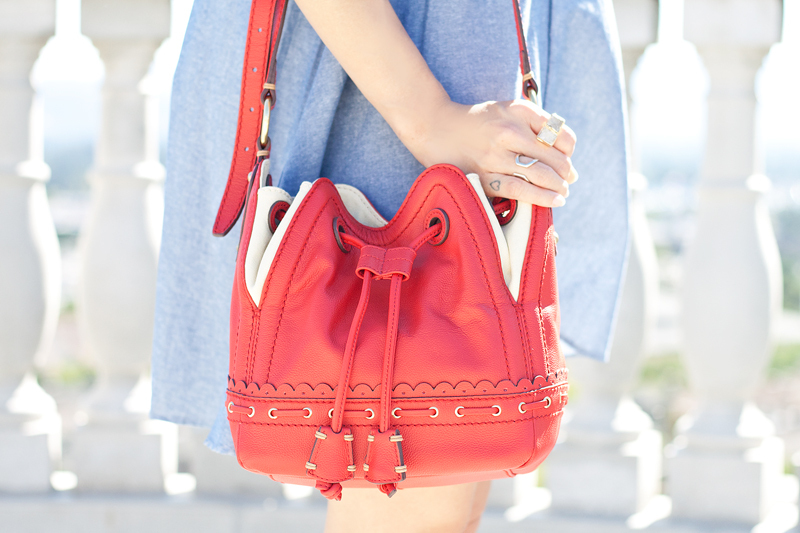 Lotus red leather bucket bag c/o Isabella Fiore. 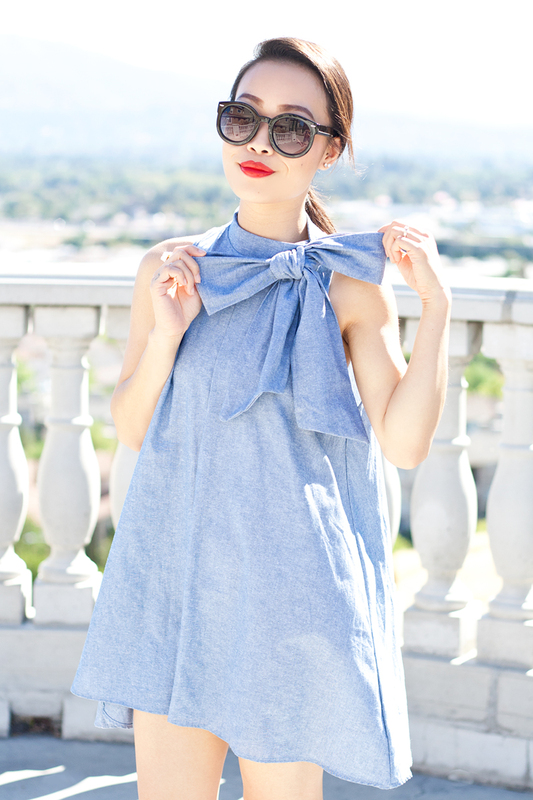 I like the detail of the bow on the dress and the stripped shoes! Perfect! The bow is really cute..but the bag is super awsome..i love the color and the design..
Bows and red and stripes and heels and rouge are my favourite things, this outfit is just PERFECT! I'm amazed.